Do you know who this man is? 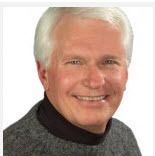 His name is Bryan Fischer and he writes a blog on the Rightly Concerned website, which is an arm of the American Family Association. In addition, his blog runs on a website called “The Moral Liberal”. Getting back to Fischer, you should know who he is. He is a dangerous man. People read his blog and believe the slander that he writes. On Tuesday, November 16, 2010 – just five days after one of most important days we celebrate as Americans – Veteran’s Day; this enemy to American Soldiers every where wrote “We have feminized the Medal of Honor”. And, there you have it in a nutshell the absolute truth at the heart of the entire right wing. They’re only happy when someone (usually of a brownish color) is dead or dying. Okay, I’m taking it a bit far. I don’t believe every single right wing person believes this, but guys like Fischer and his band of phony Christians do. A wise man once said: “Greater love has no one than this: to lay down one’s life for one’s friends.” If you’re wondering who said it, it was our Lord and Savior, Jesus Christ. (John 15:13) Just a couple of facts I found out, more than half of Medal of Honor Recipients receive them posthumously. Near as I can tell, Staff Sergeant Salvatore Giunta – who received his award from President Obama on the same day Fischer wrote his crappy blog – is the first living recipient since 1975. The Medal of Honor Recipients risk their lives for not just their country, but their fellow soldiers as well. These are people who did not look out for their own best interests. They were unselfish, as a great many of our service men and women are. Neither of these definitions say anything about being aggressive or God. Valor simples means having courage in the face of dangerous odds. But, not to Fischer, somehow he missed all of Jesus’ turn the other cheek speeches. He missed the part in the Bible where Peter cuts off the soldier’s ear and Jesus stops him from doing more harm. I don’t believe that God would believe that the only act of a soldier that we as a country should honor is one in which the soldier killed multiple enemies. There is room to honor both. Fischer doesn’t seem to understand that. But, he and the American Family Association are part of what is going wrong in this country. There’s no room for tolerance in Fischer’s America. There’s no room for laying down a life for a friend. There’s only room for telling people who are to blame for their lot in life and just a hint — it isn’t them. I’m not saying that Fischer shouldn’t be allowed to write this garbage, I’m just saying that an intelligent and reasonable person shouldn’t read it.